Innovation simply doesn't work that way. But in the automotive realm, we have one giant exception, and it is Jeep -- a vehicle forged in the crucible of war that grew into one of the world's most recognized brands, automotive or otherwise. Jeep's early history is legendary. Its role in helping defeat the Axis powers during World War II is undeniable. But Jeep's postwar life has been a decadeslong trail of both rousing successes -- and abject failures. 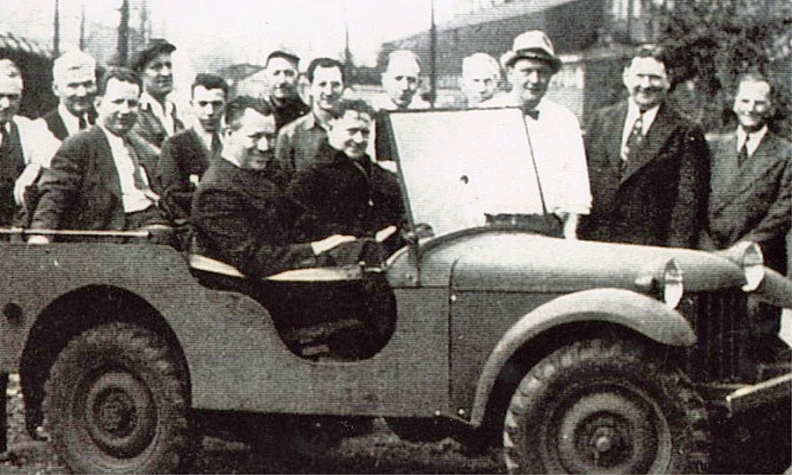 The first prototype military Jeep was developed by Bantam. Designed in 18 hours by Karl Probst, a freelance auto designer from Detroit, the 1,840-pound Bantam exceeded the Army's expectations during initial testing in September 1940. The War Department, however, had concerns about Bantam's ability to meet the military's capacity needs. As a result, it invited Willys-Overland and Ford Motor Co. to bid on the reconnaissance vehicle contract, this time using Probst's design as a guidepost and allowing engineers from the two automakers to inspect and measure the Bantam. Each automaker crafted a vehicle that was intended to meet the War Department's specifications -- but with varying success. The Willys Quad had the most powerful engine -- the 60-hp Go Devil four-cylinder, which gave it a significant power advantage. The Ford Pygmy had superior craftsmanship, and it featured a flat hood and flat fenders that the War Department judged as useful improvements. The Bantam, now updated from its original design, was the lightest and most fuel-efficient. More than 637,000 Jeeps were built by Willys and Ford during World War II, while Bantam was awarded a contract to build quarter-ton trailers that were pulled behind the MB. Even today, remnants of Jeep's birth by committee exist on the MB's descendent, the Jeep Wrangler. For example, the "T" latches still used to hold down the hood were a Ford innovation, as was the single-piece, stamped slotted grille with round headlights that Jeep also uses as a logo. 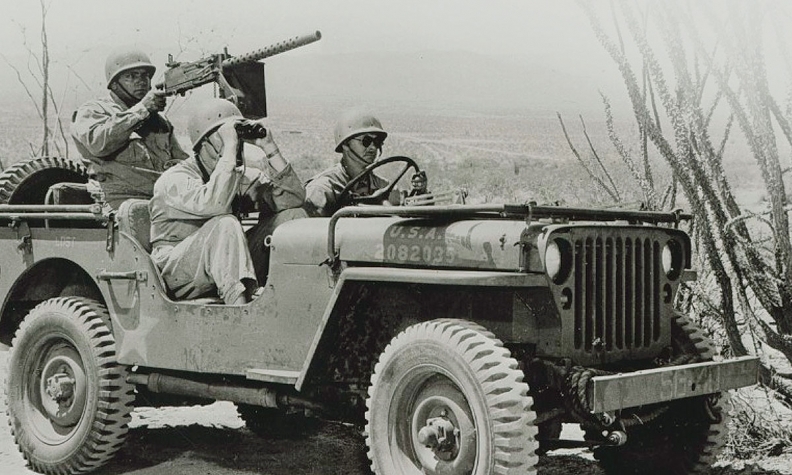 Jeep's wartime history is well-documented, but the transition to civilian life is less so. As World War II began to wind down, Willys executives began thinking about the Jeep's postwar existence. It didn't have to look far for a design. Willys took the MB and modified it, improving the headlights and seats and giving it a tailgate. The production version became the Willys CJ-2A. It also introduced other innovative vehicles, including the 1946 Willys Station Wagon -- the first such station wagon to be built completely of steel -- and the 1947 Jeep pickup. The company had two secret weapons, argues Patrick Foster, author of four books on Jeep, including 2014's Jeep: The History of America's Greatest Vehicle. "Willys-Overland had always had a policy to sell at least 15 percent of its production for overseas sales, even way back into the 1920s," Foster said last month. "But the other thing that helped was that, what Willys did was really the ultimate free sample: When World War II ended, the Army left Jeeps all over the world." It continued to develop innovative civilian designs -- such as the 1957 FC-170 (for Forward Control), the 1963 Wagoneer SUV and 1963 Gladiator pickup -- while further developing its line of Jeep military vehicles. However, Jeep's ownership structure wasn't stable. Willys-Overland was purchased by Kaiser Manufacturing Co. in 1953. In 1963, the company dropped the Willys name, becoming Kaiser-Jeep Corp. Six years later, in 1969, the company was acquired by American Motors. Jeep sales were a strong point in the AMC lineup, and it was under AMC's ownership that one of the most innovative and popular Jeep vehicles, the XJ Cherokee, was developed. Designed by Roy Lunn and Bob Nixon, the XJ Cherokee that debuted for the 1984 model year was a unibody SUV, something no other automaker had ever done. The XJ's simple, boxy shape drew classic styling cues from Jeep's heritage, but its design was elegant, and its off-road capabilities were unmatched by anything short of a Jeep CJ. Though modifications were made over its long production life, the XJ Cherokee's production ran for 18 years -- through two subsequent ownership changes -- until 2001 and totaled over 2.7 million vehicles. Jeep's string of owners tended to struggle, giving rise to an unflattering explanation for their collective failures: the "Jeep Curse." From Bantam to Willys to Kaiser to AMC, each corporate entity that had acquired Jeep had subsequently failed -- more often than not for reasons that had little to do with Jeep. Yet Iacocca coveted Jeep. He recognized that the off-road brand complemented Chrysler's offerings. "We aren't just combining our strengths. We're increasing them," the former Chrysler chairman declared when Chrysler purchased AMC for $1.5 billion. Former Delphi CEO Steve Miller negotiated Chrysler's deal to buy AMC from Renault in 1987. In his 2008 book, The Turnaround Kid, Miller recalled the reaction at Chrysler after it had acquired Jeep. "Sixty days after we acquired the company, almost every executive at Chrysler had replaced his car with a Jeep," Miller wrote. "The parking lot outside our office looked like a Jeep dealership." In most respects, Iacocca was right: The addition of Jeep -- along with key executive additions such as Francois Castaing -- made Chrysler a more valuable company. Chrysler used its resources to improve existing products such as the XJ Cherokee, and in 1992, introduced the ZJ Grand Cherokee by driving it through a plate-glass window at the Detroit auto show. And as Jeep's popularity grew, so did Chrysler's profitability. The No. 3 U.S. automaker had become a potent global player with the addition of Jeep and consumers' nearly limitless demand for SUVs. Ultimately, Chrysler drew interest from Daimler AG, which, in 1998, combined with Chrysler in a $38 billion "merger of equals." Less than a decade later, Daimler paid $675 million to Cerberus Capital Management to take Chrysler -- and Jeep -- off its hands. And two years after that, Chrysler -- including Jeep -- sought bankruptcy protection and had to be rescued by the government. Marchionne first set out to fix problems in Jeep's lineup. He improved the Compass and Patriot and invested in the Grand Cherokee, improving its interior, electrical architecture and powertrain. He killed the Jeep Commander -- which he once described as "unfit for human consumption" -- and greenlighted replacement of the unloved Liberty with the revived Jeep Cherokee, the first Jeep built on a Fiat platform. Automotive writer Patrick R. Foster, author of four books on Jeep, including Jeep: The History of America's Greatest Vehicle (2014; Quarto Publishing Group), talks about Jeep's origins. Does Jeep trace its now-famous name back to Ford?